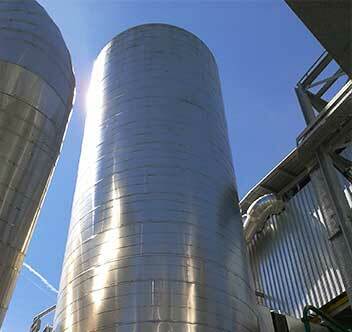 Boldrocchi has been removing pollutants from flue gas for decades. We offer customized solutions to ensure all your goals are met or exceeded. We’ve done significant R&D in flue gas treatment, looking to offer customers high abatement levels and lower costs. We also offer a full turnkey package including dust removal, flue gas treatment, flue gas conditioning, handling & storage equipment and worldwide on-site services such as installation, commissioning and training. Our solutions remove dust, acid gases, nitrogen oxides, sulfur oxides, mercury, furans, hydrochloric acid, dioxins and other heavy metals. Our specialized team can design and manufacture a tailored multi-pollutant removal solution for your operation, depending on your process parameters, air pollutant reduction targets and budget. Other important considerations: whether this multi-pollutant system is being added to an existing operation or whether the project is a greenfield, and the footprint available. 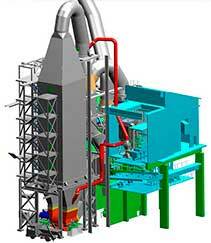 A customized combination of our other flue gas treatment systems (as seen in the example below). 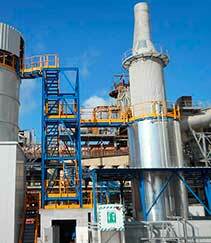 Boldrocchi offers a full gamut of DeSOX & acid control systems that remove SO2, SO3, HCl and HF. 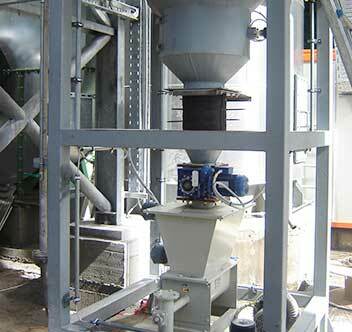 Circulating dry scrubbers (CDS) are the state-of-the-art multi-pollution control device using a fluidized hydrated lime bed. They offer enormous potential for many industries and applications as they remove 99.9% of particulate matter (PM) as well as offer impressive SOX and acid gas removal. They also reduce NOX, mercury and heavy metals. CDSs are a combination of a fabric filter (baghouse) and a scrubber vessel using hydrated lime (Ca(OH)2). 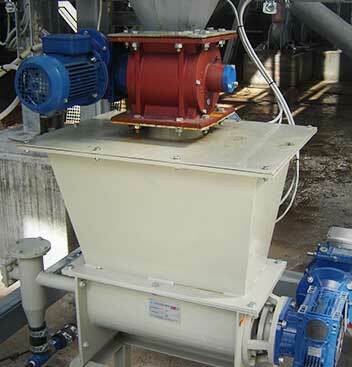 Dry sorbent injection (DSI) systems are highly attractive options for SOX control and have become popular technologies in the US and Europe, among other areas. DSI systems are proven to remove SO2, SO3, HCl and HF with the injection of hydrated lime, trona or sodium bicarbonate. 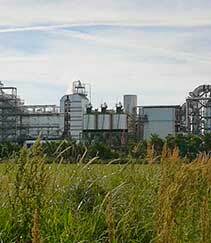 Boldrocchi has decades of experience in DeNOX (removing nitric oxide and/or nitrogen dioxide) technologies. The first clients were mainly waste-to-energy and biomass plants as well as incinerators, but more recently, customers have been from a wider variety of industries, including cement, as emissions regulations have been getting stricter. Boldrocchi offers two Best Available Technology (BAT) systems. Selective catalytic reduction (SCR) is the highest performance NOX solution available, able to reduce NOX by up to 95%, meeting the strictest legislation. Boldrocchi has been investing significantly in its SCR R&D to ensure quality engineering and manufacturing and to reduce costs to customers by removing middlemen. The goal? Ensure our customers have DeNOX systems that will perform exceptionally for decades to come. Among the most impressive results: Boldrocchi engineered a SCR system working at a mere 160°C (320°F) with 60 mg/Nm3 in residual emissions – a successful emission reduction at probably one of the lowest temperatures in the world. 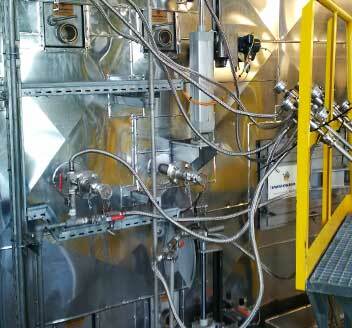 Requires a catalyst chamber, which we carefully tailor to the plant’s needs. Selective Non-Catalytic Reduction (SNCR) can reduce NOX by between 30 and 65% in our experience. It’s a good option for plants in several industries as it cleanses the flue gas of enough NOX to meet emissions regulations. In addition to usually being less expensive in terms of CAPEX vs. SCR, it also offers several advantages. Boldrocchi uses the Best Available Technology (BAT) of activated carbon injection (ACI) systems to control mercury, heavy metals and dioxins. ACI systems have been proven over the years and can be more than 90% effective, depending on the type of fuel being burned and the air pollution control equipment at the plant. Our activated carbon injection (ACI) system injects powdered activated carbon (PAC) from a storage silo into the flue gas ductwork. There, it adsorbs the vaporized mercury from the flue gas, which is then collected with the fly ash in the plant’s particulate collection device. 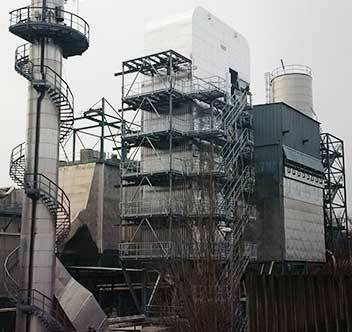 Boldrocchi provided complete air pollution control and noise protection solutions for a biomass plant near Milan, Italy. Analyses show complete success: air pollutants have been removed to well under area limits and noise is nearly completely eradicated – the plant’s noise emissions are lower than any other biomass power plant in Italy. Boldrocchi succeeded in obtaining impressive NOX reduction rates by using Selective Non-Catalytic Reduction (SNCR) in a Lepol cement kiln. We were able to reduce NOX to 350 mg/Nm3, translating into an efficiency of > 60%, rivaling the best abatement possible with SNCR. The injection point was chosen where there was an optimal flue gas temperature window (850°C – 1000°C) to ensure reaction efficiency. 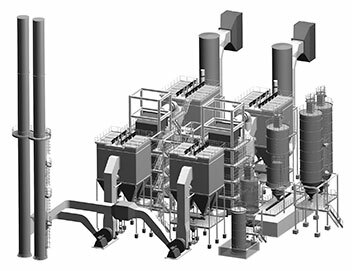 Boldrocchi was contracted in 2017 to develop an integrated High-Dust Selective Catalytic Reduction (SCR) system for a cement kiln in Deuna, Germany. The goal: reduce NOX to an impressive 180 mg/Nm3 while respecting the customer’s CAPEX and logistics constraints. Boldrocchi designed & manufactured the reactor, dampers, a booster fan, the ammonia dosing system, the catalyst soot blowing system, the reactor preheating system and electrical/automation system.